The 4 Corners expose of Don Dale and the death in custody of Ms Dhu have rocked us – but as we all know, the issues go far beyond these two examples. The broader story of Aboriginal incarceration across the nation is largely known. Indigenous Australians make up 27% of the national prison population – a statistic that has almost doubled from 14% at the time of the 1991 Royal Commission into Aboriginal Deaths in Custody. Almost 79% of Indigenous Australians in custody have been in prison before. It is simply not possible to shy away from the truth of this matter: the facts indict us not only for accepting intolerable levels of incarceration, but for ignoring the advice and evidence as to how this situation might be addressed. Self-determination, properly understood, lies at the heart of the matter. Join the Hon Linda Burney, Shadow Minister for Human Services, and former NSW Attorney General, Federal Minister the Hon Bob Debus AM and Dr Megan Williams, Senior Research Fellow at the Centre for Health Research, as we discuss the things which must be done - those “practical things” upon which reform is built and meaningful change realised. Complimentary refreshments from 6:00pm. The talk starts at 6:30pm. 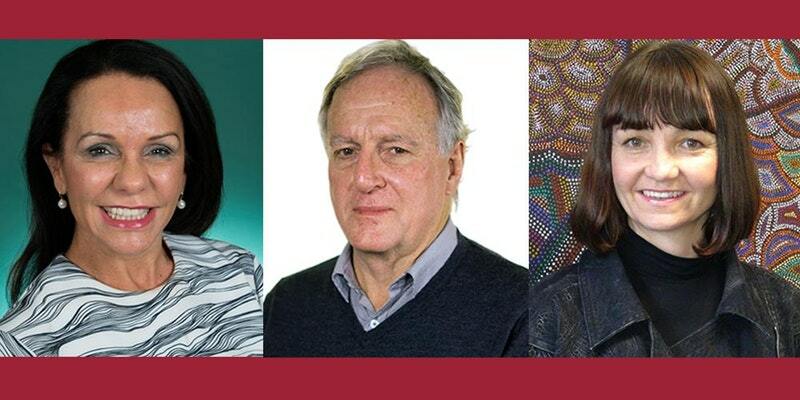 See excerpts from the Hon Linda Burney, the Hon Bob Debus and Dr Megan Williams and they discuss Indigenous incarceration and community-based solutions. Catch up on our public conversation on Indigenous Incarceration and Community Solutions, held at the Whitlam Institute on Wednesday, 7 December 2016. Bob Debus was a Member of the NSW Parliament from 1981 to 1988 and again from 1995 to 2007. He was a Member of Federal Parliament from 2007 to 2010. He has held numerous portfolios in NSW including Minister for Environment (1999-2007), Attorney General (2000-2007), Minister for Corrective Services (1995-2001), Minister for Emergency Services (1995-2003) and Minister for Arts (2005-2007). From 2007 to 2009 he was Minister for Home Affairs in the Federal Parliament. Mr Debus was the National Director of the Australian Freedom From Hunger Campaign from 1989 to 1994. He is a former lawyer, publisher and ABC radio broadcaster. He is a Visiting Professorial Fellow, Faculty of Law at the University of New South Wales. Linda Jean Burney is the first Aboriginal woman to serve in the House of Representatives. She was also the first Aboriginal person to serve in the New South Wales Parliament. She represented the south western Sydney region of Canterbury for the Australian Labor Party since 2003 and served as the Deputy Leader of the Party from 2011. From 2007 to 2011 she served as a Minister in the Labor government in a range of portfolios, including Community Services. She obtained a Diploma of Teaching and was the first Aboriginal graduate from the then Mitchell College of Advanced Education (now Charles Sturt University). She began her career teaching at a public school in western Sydney in 1979. She has been involved in the NSW Aboriginal Education Consultative Group since the mid-1980s and has participated in the development and implementation of the first Aboriginal education policy in Australia. Ms Burney was an executive member of the National Council for Aboriginal Reconciliation, President of the NSW Aboriginal Education Consultative Group and is a former Director-General of the NSW Department of Aboriginal Affairs. In 2016 Ms Burney resigned from the Deputy Leadership of the NSW Labor Party and from the NSW Parliament after she was preselected as Labor’s candidate for the federal seat of Barton. Dr Megan Williams is Senior Research Fellow at the Centre for Health Research with expertise in Aboriginal health and wellbeing. Her research explores social support and justice as determinants of health. Megan has skills in mixed-methods research and evaluation, peer research, community development and governance. She has been awarded several government research contracts, and collaborates in transdisciplinary teams. Megan is a Wiradjuri descendant, and her work has been endorsed by the Lowitja Institute. She has produced several examples of research translation into policy, practice and education with Aboriginal people and organisations.